Class 7 conducted a special assembly on 24th December 2018. The theme of the assembly was ‘Count your blessings’. Assembly commenced with the invocation of lord followed by a thought for the day, news that made headlines in 2018, followed by a story and song based on the theme. The assembly was concluded by Christmas celebrations involving carols and dances. The main attraction of the programme was the arrival of Santa Claus. The assembly was well appreciated by everyone. Students of Primary Wing dressed up in Santa Caps conducted a special Christmas Day Assembly which included special prayers, nativity play. The students of Primary Wing enthusiastically participated in singing all the carols and heralded the birth of Juses Christ, along with it all the values associated with Christmas like peace, forgiveness, love, caring and charity. The culmination of the special assembly was marked by the Santa’s entry to tunes of Jingle bells and distribution of goodies to the little ones. 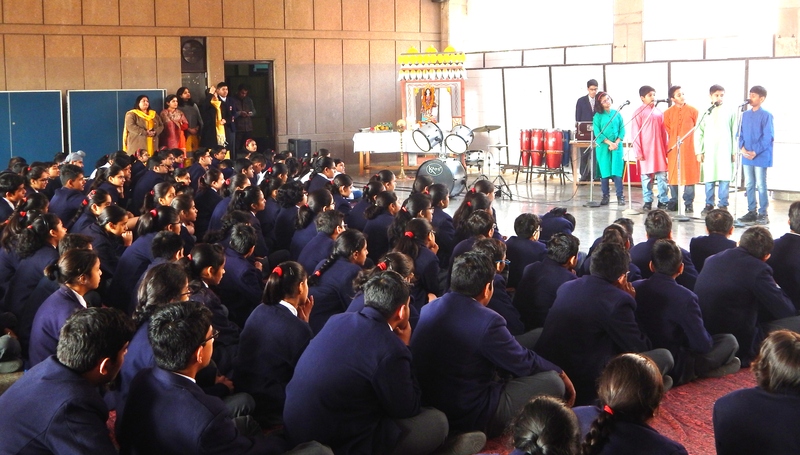 The teachers organized a special assembly for the students on 14th November to mark children’s day. They became children once again as they sang, danced and regaled the students with snippets from their school lives. It was an invigorating session as the students cheered their teachers with resounding applause. A special assembly was organized by the students of class VIII on 26th Oct 2018. The theme of the special assembly was `Lighting Up Lives’. Col (Dr) (Retd) Ravi Veer Batra, Addl Dir AWES and Dr. Sanjay Kumar Mishra, Principal, APS Dagshai were the guests on the occasion. The students presented thought of the day, news headlines and a poem titled `Sharing is Caring’ and a dance drama titled `Building Bridges’. The guests and Principal APS NOIDA addressed the students and applauded the school for its various achievements. 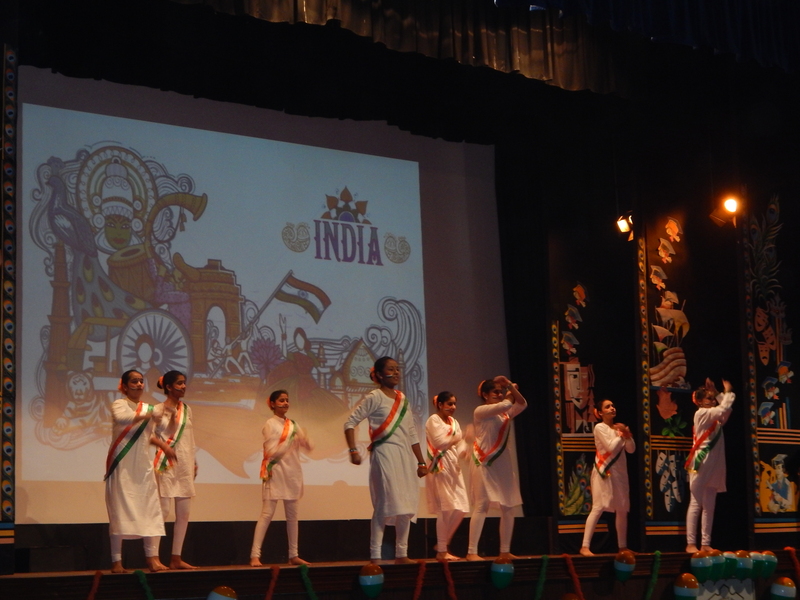 The students presented a thought provoking enactment on the theme Independent India Inclusive India. This reflected the need for India to embrace all social groups in its journey of growth and development. It highlighted the need to embrace values of honesty ,empathy and environmental sensitivity. A rendition of a Sanskrit song by the class IX choir was followed by recitation of a poem ‘Sipahi Hind Ki Sena Ka’, written by Lt General Mukesh Sabarwal. It was an attribute to the soldiers who guard our frontiers. This was followed by a dance choreographed to the song ‘ Jago ke ab teen rang se saja hai ye aasman.’ The colors depicted the unity in diversity of India. The students of class X presented a special assembly on 28th July 2018.The theme was ‘A Matter of Choice’ through which the students highlighted the importance of making the right choices in life. It was a humble attempt to reiterate the simple yet profound philosophy that we are the makers of our destiny and it is we who are responsible for what we choose to become. The students y presented a PPT based the lesser known heroes of society,who are not philanthropists or social evangelists but ordinary men and women with an extraordinary vision – whose call of duty is one which they have made to themselves. These warriors of society do not work for recognition or reward but for the satisfaction of having made a difference. It was hoped that the awe inspiring saga of these super heroes would inspire many others to walk the path they had carved. The Vice Principal , Mrs Rama Srinivasan addressed the house and the assembly concluded with the singing of the National Anthem. On 27th April 2018, students of Class XII conducted their annual class-assembly to commemorate the 38th AWES day. 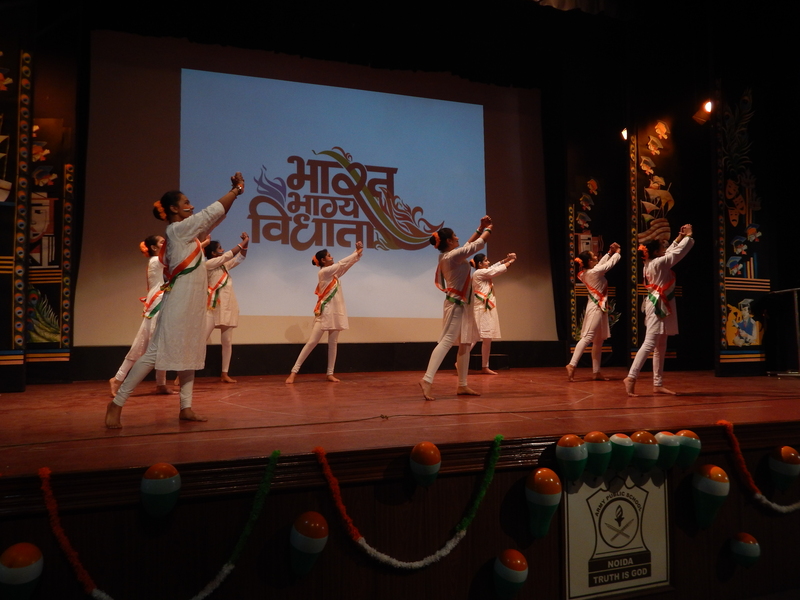 The assembly orbed around the theme of ‘Peace, education and understanding’- three closely linked constructs. 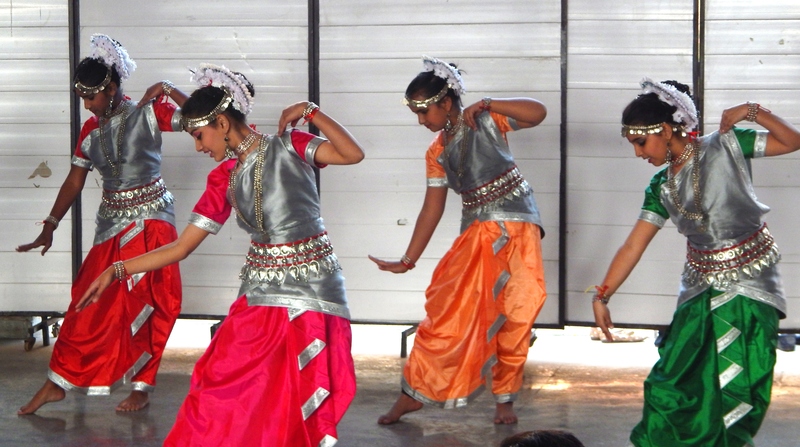 The students presented a talk on AWES day which was followed by a resplendent dance. An edifying talk on the ultimate goal of education and a short speech on education for peace and serenity were part of the program. A dramatic-performance of ‘War Is Kind’ by Stephen Crane, reflected the glory and mercilessness of war. The event concluded with a concert by class XII’s band, which covered John Lennon’s Imagine- an imagination of the world at peace. The audience was left mesmerized with the display, and the cheers were thunderous. A special assembly was conducted on 24th April 2018 on the theme of Positive School Environment” by the students of Senior Wing. The aim of the special assembly was to promote anti-bullying practices in the school. The assembly comprised of a skit on `My School Environment’ in which students of classes VII & IX depicted how various forms of bullying affected the students. This was followed by a poetry recitation by a student of class VII. 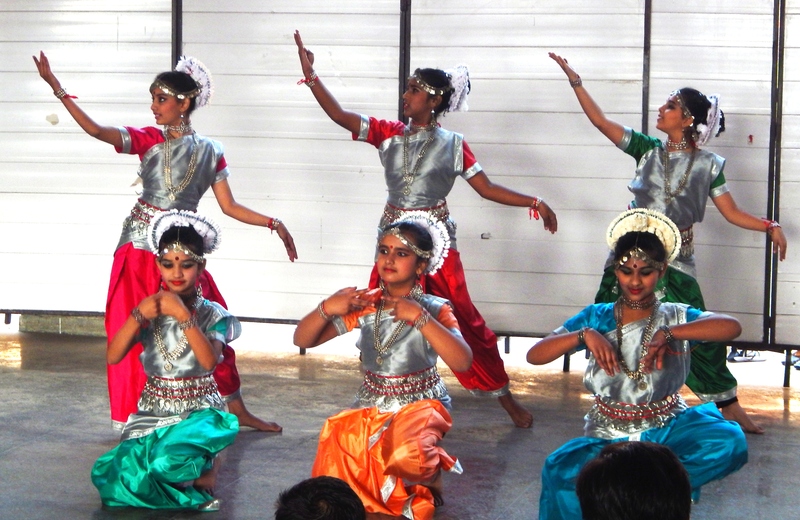 The programme was concluded by a band performance by class XII students. A special assembly was conducted on 22nd January 2018 for the students of class VI. 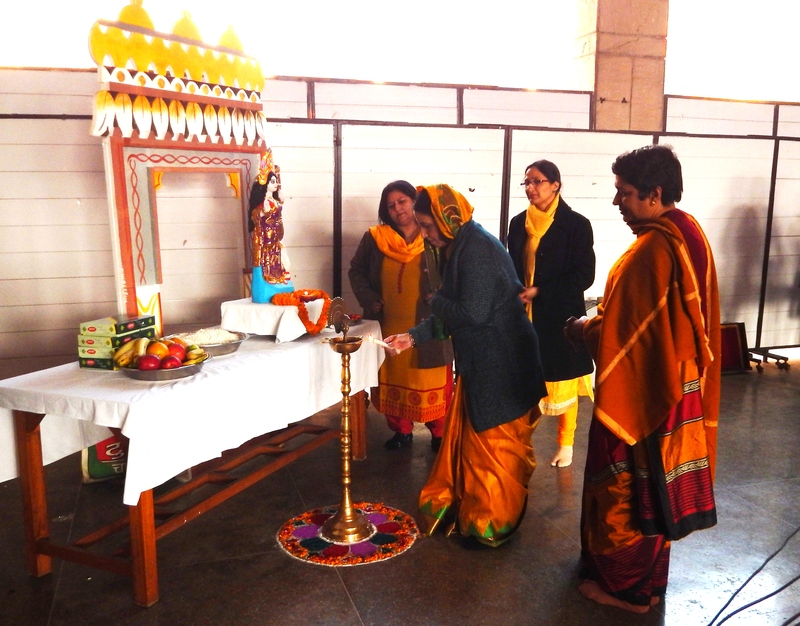 Theme of the assembly was Vasant Panchami, to worship Goddess Saraswati, the Goddess of learning and celebrate the onset of spring season. The program commenced with the lighting of the lamp followed by offering prayer to goddess Saraswati. The students of class 6th then presented a welcome dance ‘Ma Saraswati Sharde` followed by a thought on the importance of learning and knowledge, the news and a talk show on the relevance, tradition, folklores etc. of Vasant Panchami. A poem on the beauty of spring season was also recited. The program was concluded by a few words of wisdom and encouragement by the Principal and the National Anthem. Class VIII conducted a special assembly on 27th Dec 2017. The Theme was “Food for thought”. A power point presentation which traced the story of food from the days when man was a hunter, to the modern times where some people waste food and many do not get one decent meal a day, called for some serious introspection. They drove home the point that we should not waste food, with a sensitive depiction of the many starving people around us. On 16th October, 2017 the students of class 11 came together to put a special assembly for the school on the theme ‘triumph of good over evil’. Bipasha, Aniket and Rachana were the narrators and told the story of 2 wolves—-evil and good—- that lie within all of us. This story was beautifully depicted through a vivid slide show and a dance that was choreographed and performed by our very own class 11 students. To end this assembly the class 11 band played their soul stirring rendition of ‘heal the world’. The assembly was well received by the audience who gave a thunderous round of applause at the end of it all. In addition to this there was also a short prize distribution ceremony held after. Rashtriya Ekta Diwas (National Unity Day) was observed on the occasion of Sardar Vallabhbhai Patel’s birth anniversary on 31st October 2017. 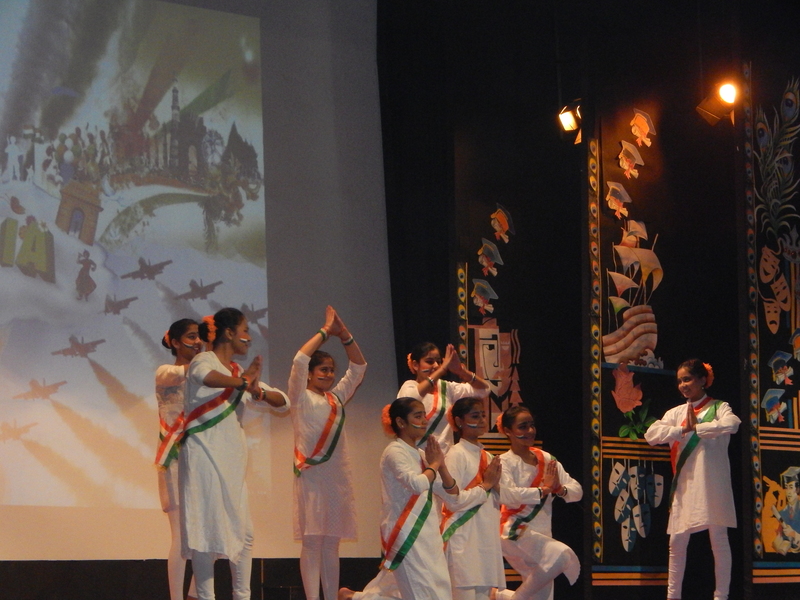 Students were made aware about the contributions of Sardar Vallabhbhai Patel in keeping India united. 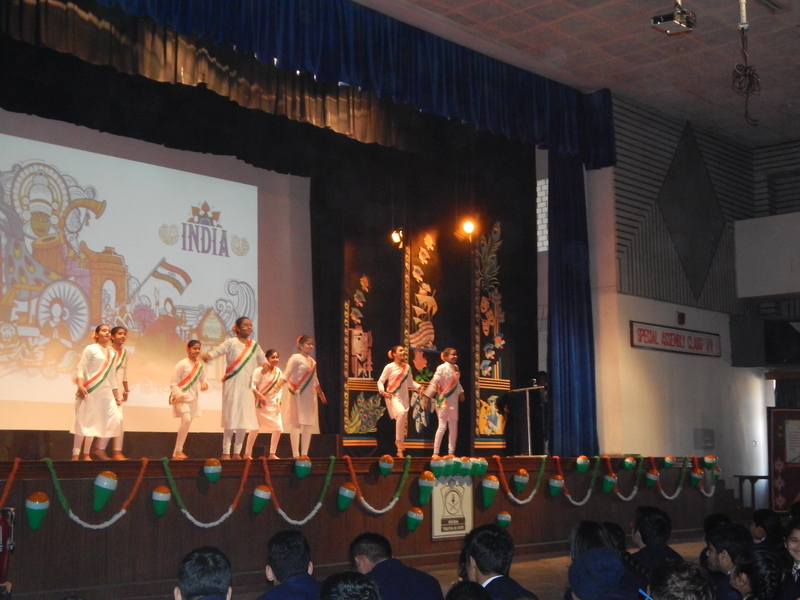 The purpose for celebrating Rashtriya Ekta Diwas was explained to the students in the school assembly. Primary Wing students formed the chain of unity in their respective classes to commemorate the occasion.